Introduced with an insightful preface by Foster, this probing dialogue is beautifully illustrated with duotone images that bring to life both Serra's work and his key commitments. Richard Serra is an internationally renowned artist, best known for steel sculptures that engage audiences through material, form, structure, and site specificity. He has exhibited widely since his first solo exhibition in 1966 and has work publicly sited in Amsterdam, London, San Francisco, Bilbao, Berlin, Qatar, and elsewhere. Serra has been awarded the title of Chevalier de l’Ordre national de la Legion d’honneur and the J. Paul Getty Medal, among many other honors. 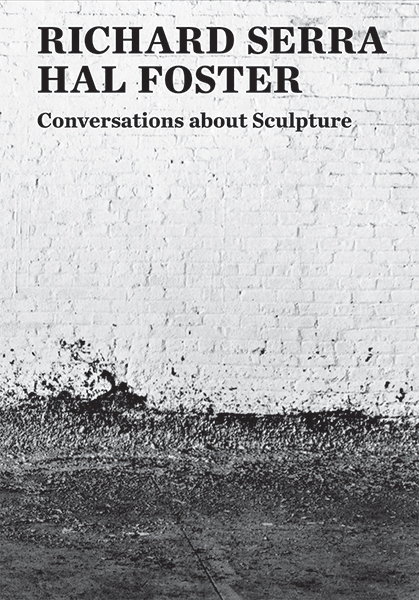 Hal Foster is Townsend Martin, Class of 1917, Professor of Art and Archaeology at Princeton University. An award-winning author, his publications include Bad New Days, The Art-Architecture Complex, and The Return of the Real.